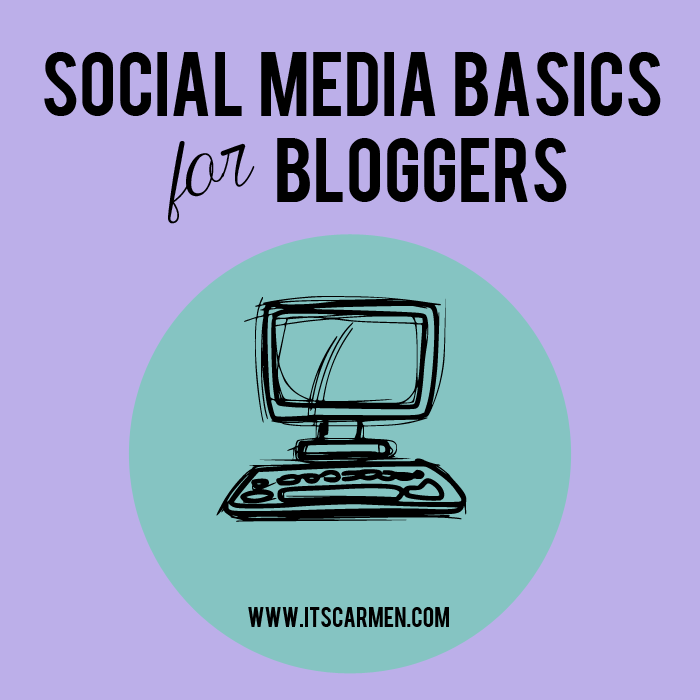 Time for those social media basics, my blogger friends. When I shared with y'all that I work as a social media coordinator, one commenter suggested I create a social media guide. Sooo...that's what I did. These are the basics. Like the bare bones of social media. I could get into a million different things, but let's start simple. These are things I learned the hard way, after much work. Don't be me. Learn now. Title your photos - Keeping your photograph title as IMAGE_2342 is easier than naming it, but did you know photos have SEO value? Make sure you title your photos. For example, my photo title could be "SocialMediaBasicsforBloggers" or "SocialMediaTips" instead of "IMAGE_5953." When people are searching online, they are more likely to find your post & it will rank higher. Always title your pictures. Use hashtags - Seems like a cop out, right? All those annoying hashtags. Nope! It's absolutely essential. Use hashtags on Twitter, Facebook, Instagram, etc. You never know when or who is looking for certain hashtags. I use hashtags on my Twitter all the time. Last week, two brands reached out to me about products. Now I'm munching on some vegan jerky & some sort of sport drink. Now who's laughing? Hashtags will help you. Post regularly - This is what I did wrong for two years. I posted sporadically -- maybe once a week. My bad. You want your posts to rank higher in searches. Your post on how to style beanies from 2 weeks ago is irrelevant when someone posted about that yesterday. Keep up with fresh content. I recommend 2-3 times per week to start off. Post about relevant topics - Be it the controversy about the Coachella 2015 lineup or the score of the latest football game, be relevant. This doesn't have to be for 100% of your posts, but chances are someone out there is looking for what you have to say. A couple months ago, I posted about my experience at Comedy Central's @midnight taping & someone found it, emailed me, & asked me questions about it because they were planning to go. Set up profiles on all platforms - So you want to be a blogger but you don't have an Instagram or Twitter? Why not? You need them all. Note of warning: not all social media platforms are created equal. LinkedIn may be better for small businesses trying to connect with other businesses, while Instagram is great for artistic folk who want to share their photos. Don't buy followers - Throughout my time as a social media manager, I've tried various methods for different companies. Buying followers is lame! I do freelance work for a vegan raw superfood bar company & they have 80,000 Facebook fans, but only 2 people like any given post. This looks really bad. Really, really bad. It's better to just have true 198 fans than 5,000 nameless bought likes. Use a call to action - A call to action is to entice your readers to focus on another course of action. Instead of "Bye. Thanks for reading my recipe," create a direct call to action at the end of your posts. Here's a better one: "Follow me on Twitter for more healthy recipes & fit tips." Obviously, gear the call to action to your readers & what you have to offer them. Focus on engagement - Take notice of engagement & active users versus followers or page views. Many of those views are spam anyway. The referral link often ends up at some random irrelevant site. That's just to get you to their site. They succeeded. If your posts get 1,000 views but no comments, that's something to think about. Engagement is one the key factors of social media. You may also want to read the DOs & DON'Ts of Leaving Blog Comments. Such great suggestions! I am so you mentioned quality followers versus just a number. I would much prefer engagement from a small group than a large count with no interaction. Great post! Great and on point recommendations! Mostly agree with posting regularly and reader engangement. This is a super helpful post! I've definitely struggled to maintain a presence on all social media platforms, but know it is necessary to being a successful blogger. Thanks so much for sharing these tips! Thank you for this! You're blog is beautiful, and as lame as this sounds, when looking at your site for the first time yesterday evening I thought to myself: now this is a blogger I need to learn from. You're fabulous, but its even more wonderful that rather than keep coolness to yourself, you work to share that love with the world. This is a really great post Carmen - lots of great tips!! Love this post, Im always looking for ways to improve in social media and this really helps, thanks! Really helpful and informative post. This is extremely important. I really love these tip! I'm going to start naming my photos!!! I find that hashtags are great on instagram - I use a lot of them, and I like searching the ones I use to find people with similar interests to mine! :) Cant' say I've ever really gotten the hang of twitter though haha! Yes! Tweets only have a lifespan of 18 minutes!!!!! :O So Tweet regularly. Awesome tips! I'd give your a hug and a high five if I could. Would you settle for an invisible thumbs up? Silliness aside, great post. Your tip about titling photos is really interesting! I never knew that! Will try that from now on. Thank you! Such a lovely post Carmen! Its so thoughtful and so knowledgeable! Thanks for sharing! Great tips! I know nothing about social media so this was helpful. I will be adding titles to my photos tonight. I had no idea that made a difference. Thanks! These are such wonderful tips! Especially as a new blogger. Thank you for sharing! These tips are amazing! I have to admit I am a bit of a Social Media addict...aren't we all?!? I loved this post! So helpful! Thanks for these great tips girl, lots of newcomers (and even veterans) could really use these to their advantage! For myself, it took me a while to get on board with hashtagging but now I'm afraid that I'm too addicted to hashtagging haha. Oh well, it does get me some engagement in the social media community! Also, love the idea of adding in a call to action and I need to write on more relevant topics (event-related or season-related). Thanks for getting my blogger brain juices flowing! I'm a new blogger and this is really helpful thanks! Great post Carmen! It's super useful to hear these things from someone who does it for a living. I'm just learning by trial and error as I go along! My favorite part is definitely the engagement, and chatting with people who stop by...I like the call to action tip and will use that next time! Such an amazing post girl. And I'm so happy that you mentioned engagement versus numbers - quality really is more important than quantity. That being said, I would love to hear even more from the people who do follow me. Also, I NEED to get the ball rolling on the whole Twitter, Pinterest thing. I focus mainly on insta and I'm not sure that's good! Thanks for the amazing tips and happy Tuesday! Such a great post and very helpful tips! 80k FB fans and only a few likes?!? That's crazy! I didn't even know you could 'buy' FB fans. Guess I shouldn't be so surprised. It seems like they've thought of everything these days. Love this post. Any plans to do more social media advice posts? Like best practices for the different outlets? These are some awesome tips!!!! I've been trying to work on naming my photos instead of doing the lazy game haha! I need to post more relevant tops something that will really get my readers talking hmmm. These are so helpful!!! Thank you! These are some great tips! I'm going to have to start using better names for my photos and I love the idea of adding calls to action. What a great way to link your blog and social media pages! Great post, Carmen! How do you differentiate your posts for Twitter, Facebook, Instagram, etc? And do you have any tips on best times to post, posting all at the same time vs. spacing them out, etc? I'd appreciate your advice, as I'm always trying to learn and improve at social media! Such a helpful post , great ! Very interesting post. I love your blog! I hope you will like mine. Great post, Carmen! Thanks for all the awesome tips! Great tips! As a new blogger it is really hard to know when I am doing something right on social media or how I am doing something wrong! Great post! People always forget to change their image file names. I also love not buying followers, this dilutes your content because they will not consume it.